Auckland City Tours has been added to your itinerary. There's lots more to do: enjoy a live performance at Sea Life Kelly Tarlton's Aquarium, meet the residents at Auckland Zoo, make a trip to Sky Tower, and contemplate the geological forces at Mount Eden. For ratings, reviews, other places to visit, and tourist information, refer to the Auckland Central trip itinerary planner. If you are flying in from United States, the closest major airports are Auckland International Airport and Hamilton International Airport. 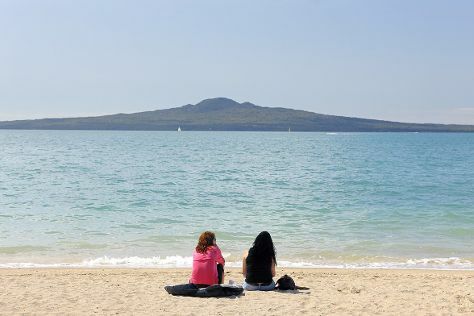 In March, daily temperatures in Auckland Central can reach 66°F, while at night they dip to 66°F. Wrap up your sightseeing on the 29th (Fri) early enough to travel back home.